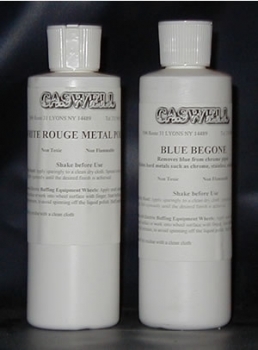 Blue Begone™ is specially formulated combining fine alumina powder, blended with green chromium oxide for producing a bright lustrous shine on stainless steel, aluminum, chrome, brass and more. It removes 'bluing' in seconds, whilst bringing chrome to a mirror shine. You can use BLUE BEGONE™ on ALL your chrome work.